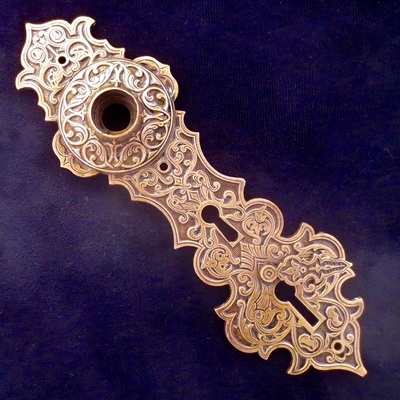 Splendid design. Also made in hexagonal form. 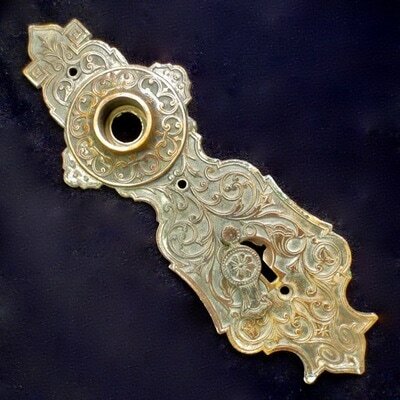 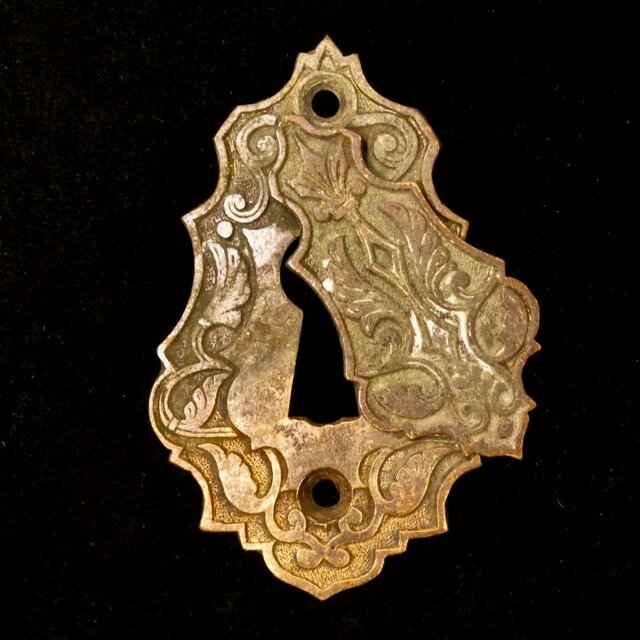 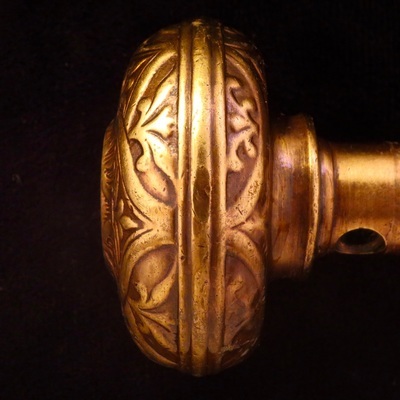 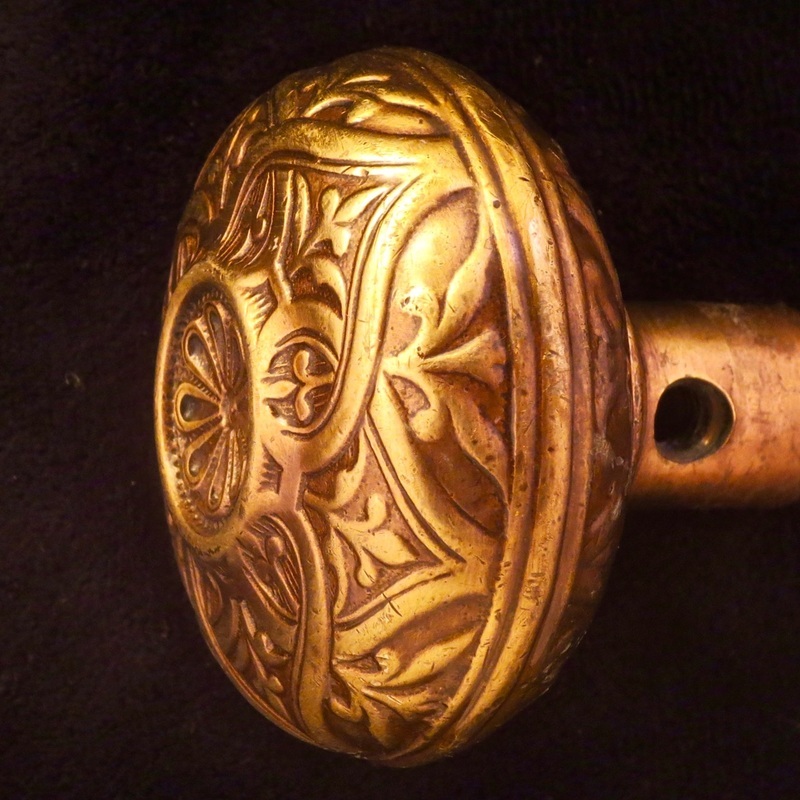 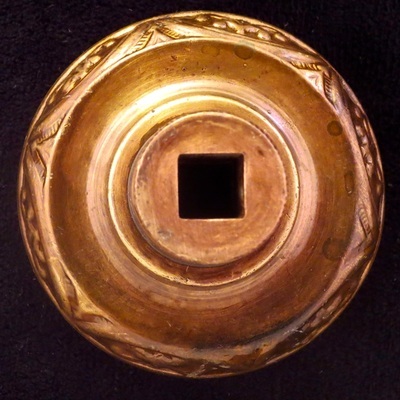 The knob was shown with both rose & escutcheons in 1874-75 Corbin catalog. The single drop escutcheon is from the same catalog.